Fifteen people were hospitalized with minor injuries after two buses were involved in a crash at Epcot theme park in Orlando Tuesday morning. 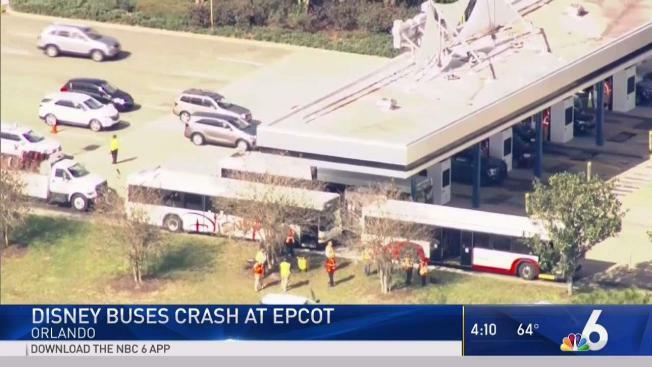 One Disney bus rear-ended another around 10 a.m. in the park's parking lot, Florida Highway Patrol officials told WESH. All injuries were minor and there was minimal damage to the buses, officials said.